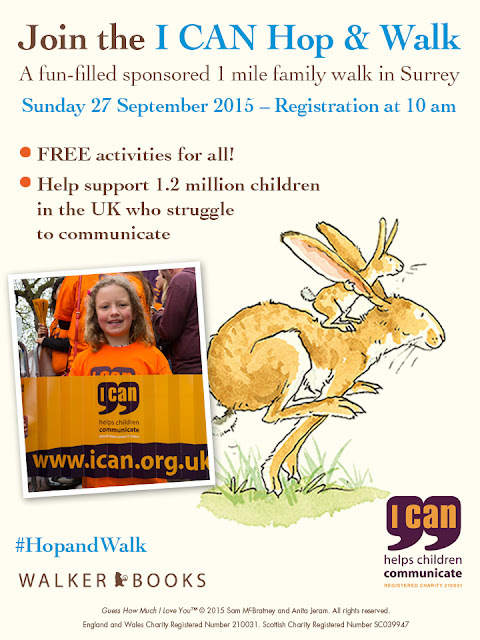 Join I CAN and other families to walk one mile and help raise vital funds for children who struggle to communicate. We are thrilled to be working with I CAN to celebrate 20 years of Guess How Much I Love You with our 'Hop & Walk' family fundraiser event on 27 September. You and your family can enjoy a host of free activities, including, a warm up exercise routine, a story corner, face painting and more. Why not make it a family day out and bring along a picnic! There is a minimum sponsorship of £50 per family and children aged 12 and under go for free. To start raising your sponsorship simply set up a Virgin Money Giving page or download our sponsorship form. Guess How Much I Love You is a book which perfectly captures the bond between parent and child as Little Nutbrown Hare and Big Nutbrown Hare try to describe and measure their love for one another. Join this fantastic, fun, family day out. Sign up now! Visit the I CAN website to find out more. Are you brave enough to read this book?